Psilocybin is distributed in both dried mushroom form and as a white powder. Low doses can cause feelings of relaxation as well as physical feelings of heaviness or lightness and perceptional distortions. Psychological effects usually involve a slight distortion of sensory perception.  Most prominent in mushroom use, are the visual effects which can include wavering images and distorted sizing of objects. Higher doses can cause more physically intense sensations such as light-headedness, numbness of the tongue, lips or mouth, shivering, sweating, nausea, and anxiety. Visual effects at higher doses can range from different colour patterns to complex hallucinations. Other possibilities include synesthesia, such as hearing colours or seeing sounds, time distortion where minutes seem like hours. Some describe feelings of euphoria or enlightenment. Intense anxiety can also occur. Try to avoid doing mushrooms alone, and if possible have a non-user available in case of emergencies. Avoid driving or operating dangerous equipment.